XS Energy is now XS Neo. Neo is a Greek prefix meaning "new". Their 2012 theme is LEGEND "A Musical Tribute to the Pioneers. My friend has steadfastly been designing for this band over this past year ... I can confirm "this old band favorite returns with lots of NEW ENERGY!" 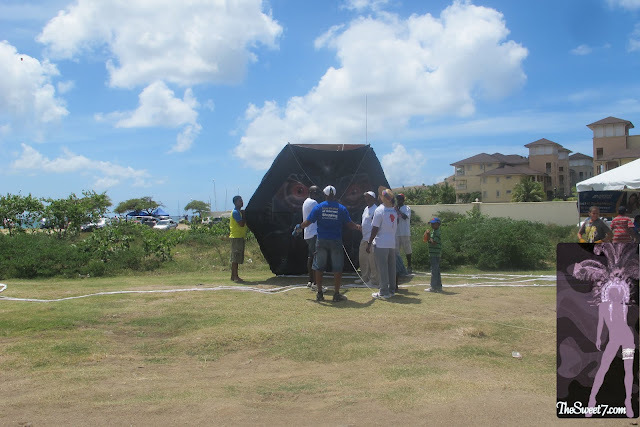 ... And during my Easter weekend in St.Lucia, I spent Easter Monday at the XS Energy Kite Festival and Bonnet Competition. 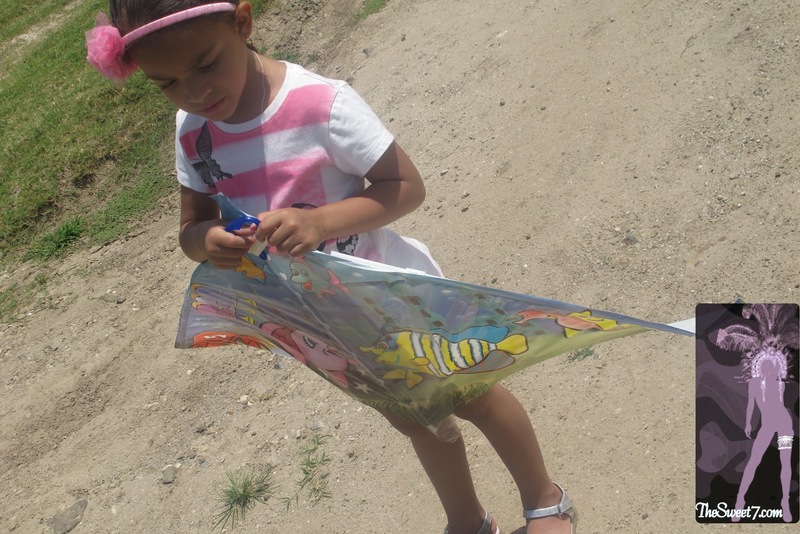 A fun time was had, initially though I had the best intention to fly a kite with my daughter. Well it did not take me long, to call my family and friends to ask, "how to fly a kite?" Gosh, what stress! ... And with the sight of all the kite pros, massive kites with like 5 people to attend to them. We were amateurs in the big leagues! Intimidated too, by all the paparazzi type professional lenses about the place, quickly my intention became about coaxing my daughter to give up on the idea. "Oh, oh ... daddy isn't here!" 'Cause by this time, I was all dressed in my maxi dress and sandals, slightly too cute for a beach lime (hangout) and apparently kite flying. The kite string was tangling up in my dress and my toes! I looked awkward. Even looking at my daughter's expression below, reveals her frustration. We returned home for a quick change and came back to the event, spending the rest of the afternoon by the seashore. 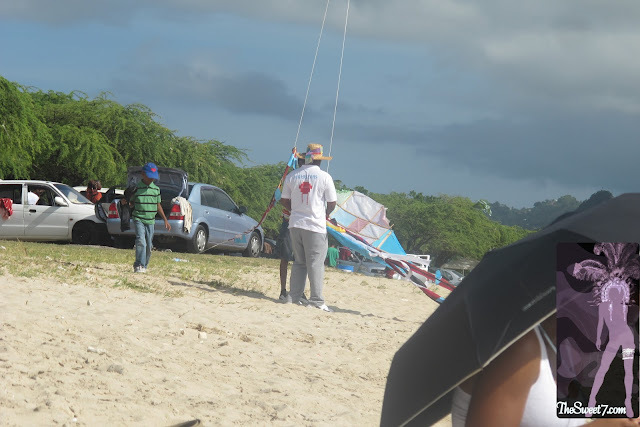 I lazed on the beach ... watching family picnics, people playing cricket, 'I ate my belly full' (like a Lucian would say) with 2 peas dahls, 1 whole wheat float, 1 fried jack and drank 3 local cherry juices. LOL! Aye, it was hot and I can eat (especially since it's stuff I don't see every day)! 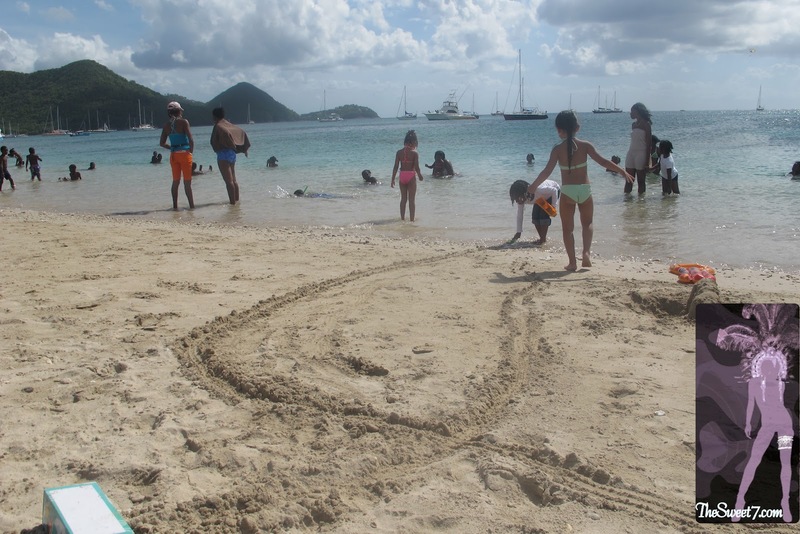 My daughter slightly shy looked to me for reassurance when asking St.Lucian children whether she could join them in play. Once they agreed, they played in the sand, sharing buckets and spades, building sandcastles and ravines. ... And she would start all over again, as they went and came! With my camera in hand, it was entertaining to watch kites get tangled in the distance and then their owners would arrive on the beach to reel what was left of their string. 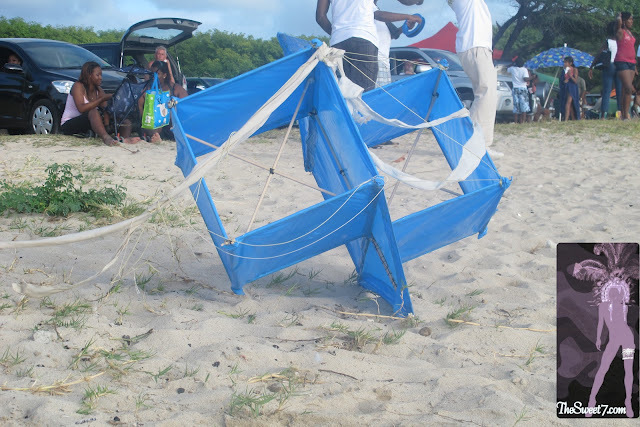 After minutes of doing just that, and having the string tugging assistance of those in the water, most collected only string, with no kites attached to the end of their lines. 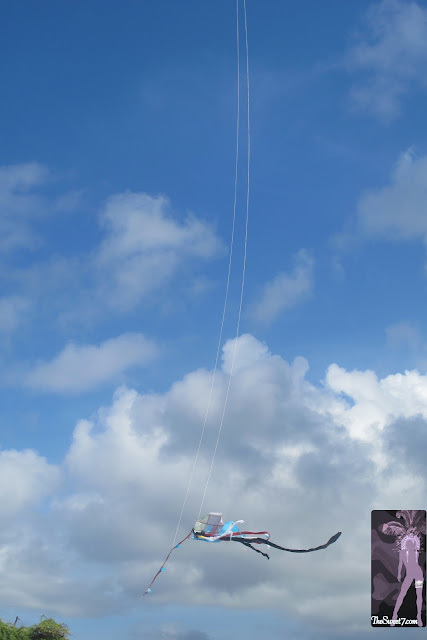 Though the biggest amusement that entire afternoon, was listening to DJ Pringles (Superman HD) joke (that the kite with the most 'MACHISIMO' of names), "VIAGRA never got off the ground!" This event reminded me of the days of assou square and greasy poles which I thought that feeling had been lost with those St.Lucian days of old!